Funded by the Emergency Medicine Foundation (EMF) and the Gold Coast Hospital Foundation, the study will help clinicians better understand how patients in Australia and New Zealand are currently managed and could lead to a potential new way of treating the life-threatening illness. 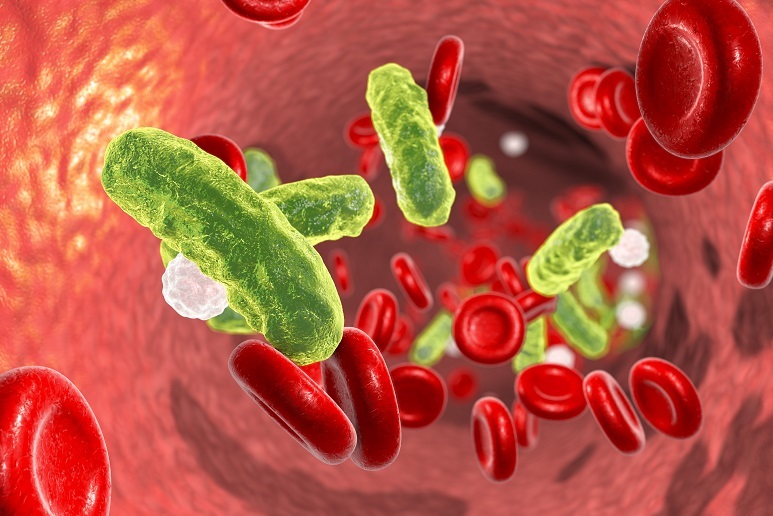 “When a patient with sepsis arrives at the emergency department, the standard treatment is to give them a relatively large dose of intravenous fluids, which is often two to three litres or more for an adult,” said Professor Keijzers. “Sepsis causes the blood pressure to drop, so the thinking has been that if we give the patient fluids it will increase their blood pressure and ensure oxygen reaches important organs such as the brain and kidneys. “This has been the accepted practice for more than 60 years, but recent research results have led us to question the benefits of giving large amounts of intravenous fluids to septic patients. To help answer this question, the researchers are running the ‘‘ARISE Fluids’ study (Fluid resuscitation in emergency patients with sepsis and hypotension), which will involve more than 70 sites in Australia and New Zealand and look at how intravenous fluids are used to treat sepsis patients. According to study leader Dr Stephen Macdonald, from the Harry Perkins Institute of Medical Research Centre for Clinical Research in Emergency Medicine and the Royal Perth Hospital Emergency Department, the ARISE is an important next step following the group’s recent successful completion of an EMF-funded pilot clinical trial. “The pilot trial ran across eight emergency departments in Western Australia, Victoria and Queensland and we compared ‘two treatments at the opposing end of a spectrum of accepted practice for sepsis,” said Dr Macdonald. “We compared the outcomes from patients who were given the ‘standard volume’ treatment with a ‘restricted volume’ approach in which we gave patients less fluids and medications to increase their blood pressure,” he said. “The main purpose of the pilot was to determine if it was feasible to compare these two approaches, in particular if the restricted fluids treatment was safe for patients. Based on the results, which were recently published, we concluded that a restricted fluid approach was feasible and clinically acceptable. “However, before we embark on a larger clinical trial we really need to understand current practice across a range of settings in both small and large hospitals, which is why we’re doing this second ARISE Fluids study. EMF’s Queensland Research Program is fully funded by Queensland Health.